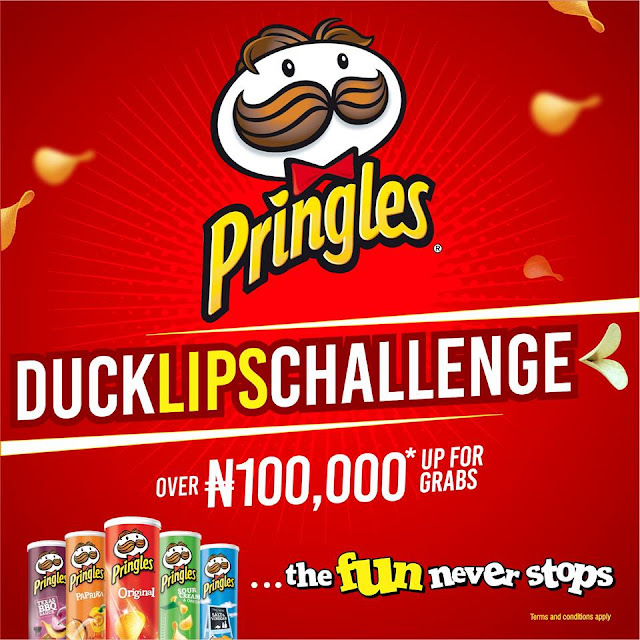 Win N100,000 In Pringles Duck Lips Challenge. 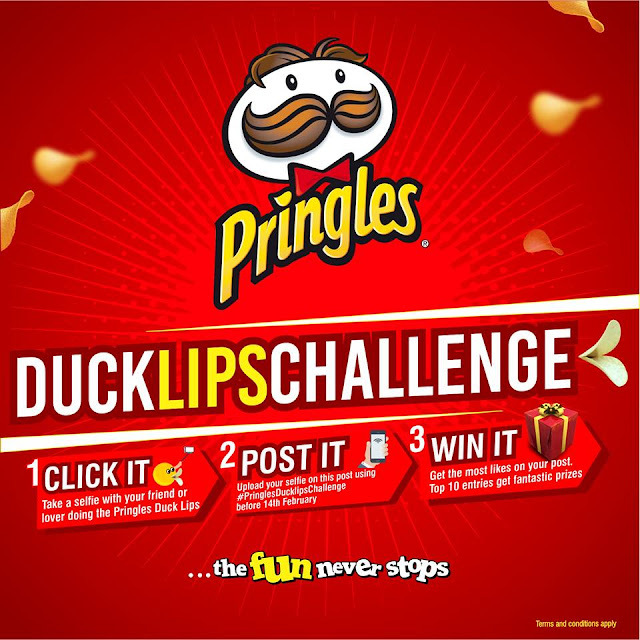 All you need is a can of Pringles and you’ll stand a chance to win amazing prizes. Just Click It, Post It And Win It! Upload your selfie on this post using PringlesDucklipsChallenge. You're just four steps away of winning over N100,000 worth of prizes this Valentine's season!